This one was one I wanted to do but with a twist. I didn’t want it to be a chore list, or a list of all the things that needed to be crammed in to this month. 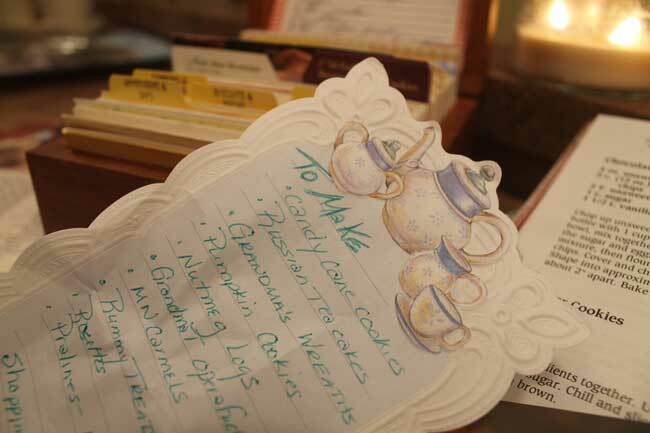 Instead I wanted it to be a list of the sweet treats that I would like to make. I got lucky tonight and this is exactly as I took it. No Photoshop help at all. I am not sure how many of these I will actually get made this year, as I am back full-time for the this month and next. It is the busiest time of the year for my employer and hence my free time gets pretty scarce. With this list there is a starting place if I get some free time. OK it is not really the last weekend before Christmas, but if you hope to ship anything it is the last weekend before Christmas. It is. This is where the rubber meets the road. Time for procrastinating is over. Time for a reality check is due; what can be done for Christmas and what can’t be done. The family of years ago with everyone living within a couple of hours of their parents is long gone. We are now scattered to the four corners of the continent and even a few have settled across the pond. It is no longer possible for everyone to descent on the old home place for the holidays. We no longer meet up with family members we love to see and a few we would rather skip seeing. If you are not going to be home for the holidays it is now time things ready to ship. This long distance family has been a boon for the commercialization of the holiday. When you lived near your family it seemed that you saw them often enough, that if you wanted to give a gift, you knew what your family member would appreciate or need. Your family knew more about your business than you wanted, but there was a quiet understanding when times were tough that your gift may not be as expensive or extravagant as you wished, but it came from the heart. Instead today we feel we must spend to show our love and that we are thinking of family. That shipped gift without your face, well it has to make up for something. So we tend to overspend and send gifts we aren’t really sure are right. Some how we think anything less would not say I love you. I wrote this because I am struggling with the reality that I am not going to do any Christmas baking this year. I usually bake dozens of cookies or all sorts and sizes. I am that person you hate to get behind at the post office. It is I who lines up with 25 or so priority mail boxes to ship to family and friends all around the country this last shipping Monday before the holiday. Those boxes are lovingly packed to the brim with just enough for each family member to have one or two of each kind. Cookies are my love in a box,and some how not doing it seems like I don’t care enough to make time. Though my logical brain understands the circumstances this year, my heart feels some of that Lutheran guilt. Today I thought for a couple of minutes about running to town and buying 25 made in Montana goodie food boxes and shipping them apologizing for it not being homemade. Then something kicked in, those that know will understand. Those that would not have understood, should not have been on my list anyway. I have made peace with this decision. I have also promised myself that this year, when they least expect it, I plan to mail those on my Christmas cookie list some love in a box. Not because it is a holiday, their birthday or some significant day, but because I thought of them and wanted them to know someone in Montana loves them. It feels a little weird, but I know it is alright. The presence of a gift or not does not change how I feel about them. Those who we love know that. I am biting of a big chunk of responsibility here in the midst of the holiday season that can be so busy, I plan to blog daily. I plan to share each day my steps working up to Christmas. So without further ado I kick of the first of hopefully 25 consecutive posts. The first of December brings the time that I look over old recipes, dig out cookbooks and look for new one to try, visit Yummly.com, visit the ever popular pinerest.com, tv cooking show sites and lastly recipes.com. This is a big deal in planning for me because I pull my list together and make one trip to the warehouse store, purchase what I need and call it quits. Planning my baking is also an early effort because they need to be shipped to family and friends back in the Midwest. Off to plan. I will let you know what I decide to make this year. How many Christmas Cookies do you really need? I spent Saturday and Sunday in my own little world baking to my heart’s content. After a few years of not allowing myself this time I was unsure if would enjoy it. Did I stop because my job “took too much of my time” or did I use my job as an excuse to stop an annual ritual I did not enjoy. I spent Friday night picking one classic recipe from previous years and the rest came from cookbooks and the internet. If I was going to turn over a new leaf, let’s get out of the box as well. If I had quit because it was no longer fun, maybe it was making the same cookies year in year out. I was going to make things that no one had ever seen in a cookie box of mine before. Saturday came and I plugged holiday movies in the DVD player and set my kitchen up for baking. I baked cookies and more cookies. I finished off supplies I had to the point that Saturday night meant a shopping trip for more flour, sugar and eggs. It had been a great productive day. I had made my one classic and some new ones. Sunday morning came and my kitchen was restocked. My second and final day of baking was to begin. My first question of the process began when my husband tasted one of my beautiful new cookies made on Saturday. I had thought they were nasty yucky, but my husband is like Mikey he will eat anything. He spit it out. This was the pivotal moment was I going to let this stop me. Lucky for my cookie recipients despite the baking disaster, I was not deterred. Sunday would bring more Christmas movies and many more batches cookies. Sunday night brought the reason I do all of this, to give it all away. I got out my containers, put notes on each as to who they belonged to and how cookies of each variety that meant. I took each batch and divided them up between my boxes, making sure each box got enough that everyone in each family got a taste. If there were a few left over I would think what family would really like this cookie. I had this silly moment of “did I bake enough varieties?” I am not sure how many Christmas cookies you need, but am sure that this number is the perfect number for me. There were Fudgey Bonbons, PB&J Blondies , Snow Cap Meringues, White Heavenly Hash, Cherry Macaroons, Peanut Butter Nanaimo Bars, Italian Lemon Drop Cookies, Dave’s Christmas Crunch Cookies, Peppermint Bark and Banana Chocolate Chip Oatmeal.. Once they were divided up in to containers, I got out my collection of priority mail boxes and made them ready for shipping. They left our little post office in Montana on Monday destined for family and friends. I had a great time. I was also glad it was all done, baked, packaged and shipped. I had spent two days making gifts of the heart. I am likely to do it again next year, it seems I had not lost my baking spirit after all. In case you are wondering he disastrous Pumpkin Orange cookies went to the chickens. Probably gave them a sugar high, but could not eat them, nor give them. I used to be one of those who would make dozens of different cookie recipes each Christmas Season to give away. I would daily bake a couple of different batches starting the day after Thanksgiving. I would end up with hundreds of cookies of all sorts and varieties. On December 15th I would bundle up my hand crafted treasures and give them away. I would drive all over town to deliver my boxes of homemade goodies. I would prepare 20 or so boxes and mail them all over the US. I learned when I lived in Jewish neighborhoods how to make some of their traditional favorites to include in my collections. No one was left out, friends and family alike were given a holiday treat box. I wanted people to know I thought of them and they were important to me by giving them a gift of my heart and hands. I followed that routine for years and enjoyed every minute of it. Then about four years ago I got a job where the busiest season for them ran from Thanksgiving until the middle of January. It made making all those cookies a chore and took all the fun out of it. I finally gave it up. I have spent lots of time this year re-evaluating things and decided that I enjoyed baking for gifts and am taking it back. I still have my job, after all it affords me many things including the ability to afford the expenses associated with baking. 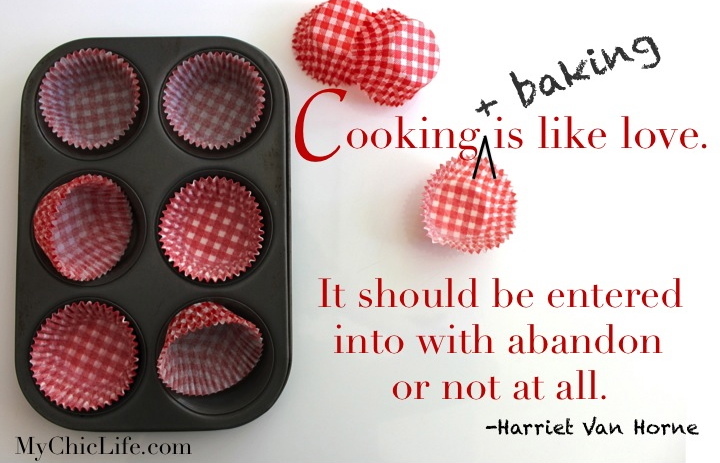 But I have decided that I used to like to bake and I am going to try it again. If I stop baking it will be because it isn’t any fun any more not because my job has over taken my life. So this weekend I am doing a two day marathon of baking. I am not sure how many cookies it will yield, but I am going to allow myself two days of baking , and see how it goes. I will keep you posted. I am not sure why there are cookies that we make only once a year. I am not sure why we feel compelled to make dozens and dozens of cookies in December and not make a batch a month instead. Having said that I am one of those who participates in this crazy ritual of Christmas cookies. Right after Thanksgiving I start hoarding butter that goes on sale in my freezer. I then pull out my cookbooks and figure out which ones I want to make and I make a shopping list. Years ago when I hosted my caroling parties I used to make dozens of varieties. Each year now it seems like I make fewer and fewer. 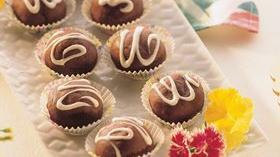 One of my favorites to make is a recent find in a 1994 Pillbury Bake-Off book called Fudgy Bonbons. I highly recommend the Hershey Hugs or limited edition candy cane Kisses in these. I have tried it with cherry cordial Kisses, caramel kisses and many other kinds. Now that there are so many kinds of Kisses out there it is limitless what you can do. I also recommend that you heat them up just a few seconds before you eat them so that the centers are a little soft. Yummy! Heat oven to 350°F. In medium saucepan, combine chocolate chips and margarine; cook and stir over very low heat until chips are melted and smooth. (Mixture will be stiff.) Add condensed milk; mix well. Lightly spoon flour into measuring cup; level off. In large bowl, combine flour, nuts, chocolate mixture and vanilla; mix well. Shape 1 tablespoon dough (use measuring spoon) around each milk chocolate candy, covering completely. Place 1 inch apart on ungreased cookie sheets. Bake at 350°F. for 6 to 8 minutes. DO NOT OVERBAKE. Cookies will be soft and appear shiny but will become firm as they cool. Remove from cookie sheets. Cool 15 minutes or until completely cooled. Meanwhile, in small saucepan, combine baking bar and shortening; cook and stir over low heat until melted and smooth. Drizzle over cooled cookies. Let stand until set. Store in tightly covered container. To give proper credit where it is due, here is the link to Pillsbury with this recipe.